After publishing a post „Social Network Sites – Which One is The Best for Traffic?” I got a lot of questions in comments and via emails about Triberr. People don’t know how to use this great tool (is it really only a tool or maybe it’s a social network?). I will not publish whole guide about Triberr – it’s impossible in one post. In this post I’ll try to reveal four most important facts and tips about Triberr. First of all – what Triberr is? 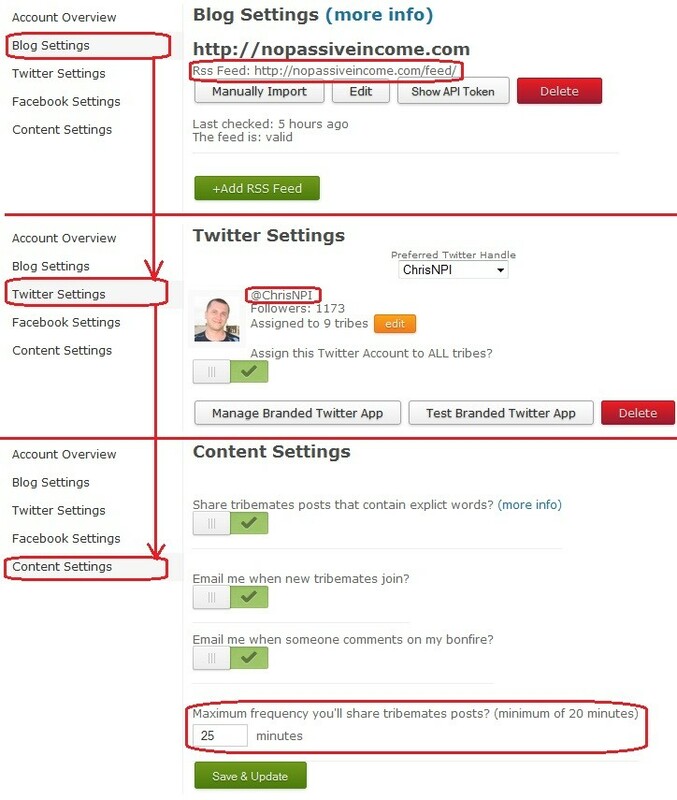 Triberr is a tool (from Dino Dogan and Dan Cristo) which allows you to boost your social network efforts, especially in Twitter. You can join here a lot of Tribes – after it you can see on your wall (it’s called tribal stream) posts from your Tribemates. Topics of posts are automatically downloaded from blogs via their RSS. To get most from Triberr you have to be a member of some tribes. How you can join new tribes? This is the most common way to be invited to the tribe, so I’ll describe it in some more details below. If you are logged into Triberr you must go to your Tribal stream – so choose “Home” from menu. There will be a list of posts you can share. 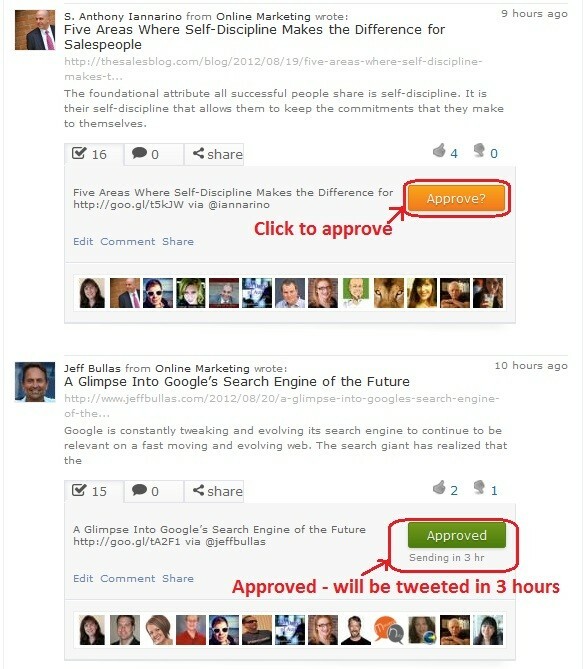 If you want to share specific post with your Twitter followers, you should click on the orange button “Approve”. Other things about Triberr you can find on the internet. Fortunately there are some interesting and very helpful posts on this topic on alltriberr.com in section tutorials. And that’s all. Do you have any question about Triberr? And what is your experience with this tool? Or maybe you want to join my tribe? Please share all of your doubts, questions or experiences in comments below. What can I say? You have beat me to it. This is by far the most comprehensive guide to Triberr I have read. If you are reading this and are not yet in Triberr, you can be sure of a soft-landing if you follow this step by step guide. Hi Yeremi, thanks for your support! I agree with Yeremi Chris, great job on this explanation and I think you know how much I love Triberr. 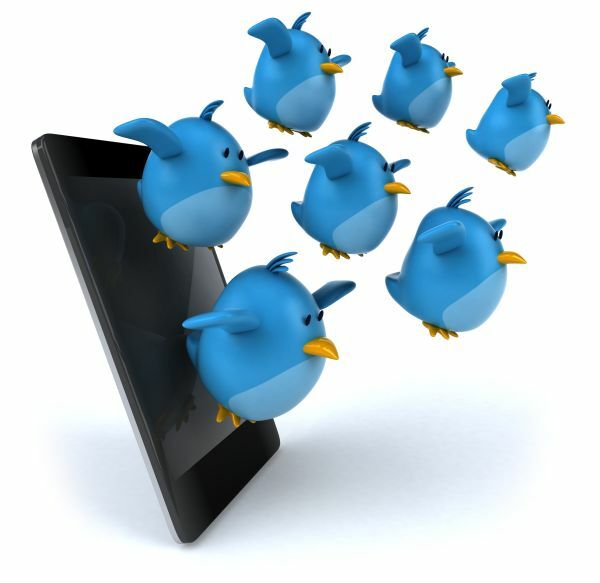 It’s helped make Twitter my #1 source for referral traffic. It’s so much more powerful than most people realize so I do hope they’ll take advantage of what you’ve shared and join if they haven’t already. You’ll be missing out on a great platform. Thanks Adrienne for your comment. 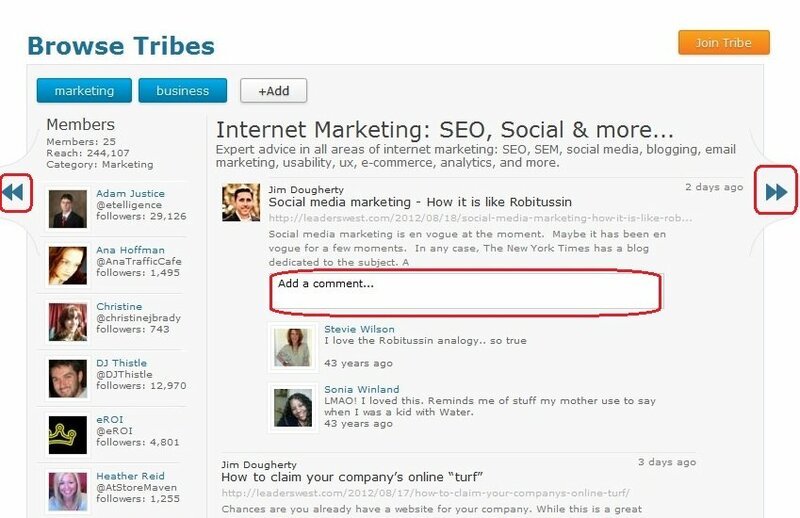 Triberr seems great network to drive traffic from social media especially from Twitter. I’ve heard about triberr from this post and let me check and join. This is a very great explanation of what Triberr is. I knew about this but was not a member, perhaps I am missing out on something. Along with Facebook, Twitter, Linkedin, this seems like a must for anyone who wants traffic. Thank you for producing this brilliant post. It has me convinced. Hi Shalu, you are right – Triberr is great for traffic. There is only one trick – you must find proper tribe(s) (according to your niche). Triberr was recommended to me by a good social media friend and I think it’s one of the reasons I am really enjoying social media – believe it or not, Triberr actually helped me “get” social media! Hi Christine – I believe you 🙂 Triberr is great to “get” social media. I’ve looked at Triberr a couple of times before and didn’t have a clue what I was doing. This has been a really useful insight into what it’s all about. What I do find difficult on there is searching for Tribes. I’ve tried plowing through them but there are so many that I just don’t think would be the right fit for me or them. I’ve done a bit of commenting on a couple of tribes but haven’t been successful as yet. So, I just left Triberr to one side. Maybe I will take another look. I found Triberr confusing to start with but it’s almost tripled my traffic. I’d urge anyone still feeling confused about the platform to give it a try. Once you get used to it you’ll be able to get a lot of benefit without needing a huge time investment. The added bonus is getting to know some fascinating people through my tribes. Thanks Chris for sharing this amazing tool. I haven’t read your previous post but i am very glad to found this one. I didn’t know about Triberr before reading your post but now it seems to me a cool tool. Definitely going to give it a try. Hope to see you there. Hi Kris, you definitely must try it. And thanks for stopping by. Hi Chris! Having read this post, I’ve now finally signed up to Triberr myself. I’ll be interested to see how this works compared to my other social media efforts. Hi Matt, great to see you there! Im in – thanks for the write up! I think we have a few members now – lets get some more! at this moment it’s the best social tool which I use. Thanks for this information Chris. I can’t explain that how beneficial is this to me as I myself am a new blogger. Hi Nilesh, you should join to Triberr and try it. Aaahhhhh Thanks Chris for convincing me for signup to Triberr. 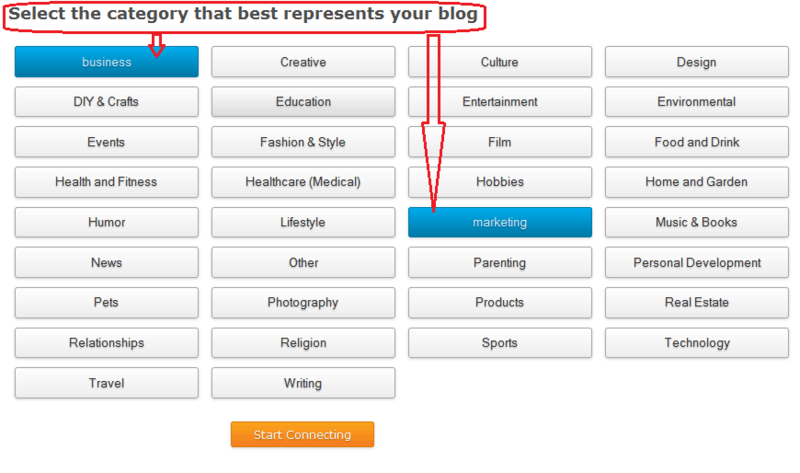 Really useful article bro….I was not aware about Triberr and its importance specially for bloggers. I am going to signup bro. please let me know after joining a Triberr – I’ll send yoy an invitation. Thanks for the detailed tutorial! I was lost and this gave me a better view about Triberr! I am looking forward to find lots of interesting bloggers. you are welcome. And thanks for joining my tribe! Thanks for the great explained post about how to get familiar with Triberr. I was using triberr for a while now but I always get confused in finding tribes and it annoys me very much. But I think everything comes with price tag so if I want to see the magic of triberr then I’ve to strike my head to find some perfect tribes because I think that’s the key of using triberr at its full potential. It’s nice to know you’re also an active member of Triberr Romy. Am also going to sign up today. Chris i never heard Triberr before but after reading your post i join instantly, hopefully it help me to get some traffic. BTW, I must thank you for sharing your insights on how to get familiar with Triberr. I’ll have to try it out. Hi Christ I had never even heard of triberr. It looks amazing. I am definatly going to give it a go. This sounds an excellent way to get your posts much more exposure. No, you don’t need Triberr. I have been on twitter for six months now, and I already go two followers. There it is…what I’ve been searching for over the past few weeks: a quick, comprehensive guided tour of the high points of Triberr! Thank you, thank you! It makes sense now. Very well done. this is awesome, i have been a member of tiberr for over a month now but haven’t figured out how it works, am glad i stumbled upon this post today as it has given me a clear meaning and how to use Tiberr. Cant wait to explore Tiberr. I love Triberr, but do have a hard time keeping up with all the changes, Lisa. This is exactly what I needed: short and to the point! You have good command on tips ,thanks for information!! I used triberr for a few days but was not sure of its proper using. At the same time was confused. So i tried to find the way of proper use of it. And have found the way at last. thank you very much for the post and help. Thank you, thank you! I joined Triberr a few days ago, and was so confused. The lingo, invites, bonfires, all left me for a loop. However, now that I read this, I am confident that I can log back in and do the darn thing. Thank you for this very helpful and easy to understand tut. I joined Triberr months before but till now am not active, after reading your post now I will came to know how much traffic I lost. Thanks for the share I joined your tribe on triberr. This post answered my questions about triberr. I will go back and try again. I will bookmark this post so I can refer back to it. I bookmark a lot of your post. I think i’m becoming a regular. Thanks for sharing such an informative piece on Triberr, i have been trying to wrap my head around it and i must say you made so many things clear now….Triberr is a nice place for bloggers to be. I’m a fairly new blogger and have been doing research on Trberr. Your post has by far been the most beneficial to me. Heading over to join now! Triberr is a great place to form a community,meet new people and promote your site in exciting ways..I’ve found to Triberr to be a great help for my blog promotion activities..The community is lively..One can easily build a good tribe or be part of one without much delay..Highly recommended. I joined Triberr just few days back. Didn’t know how to use it properly. Now this article has helped me a lot. Thanks. I was actually thinking about signing up with Triberr yesterday. But I had a difficult time understanding how it worked. I think after reading your post, I understand it a little. I guess the next best thing is just to jump in and do it. I will definitely be signing up this week and using this post as a guide of what to do. Am joining it soon and also going to buy one premiere plan.Thnkss..
Triberr was prescribed to me by a decent social networking companion and I think its one of the reasons I am truly appreciating online networking – trust it or not, Triberr really helped me “get” online networking! Triberr seems great network to drive traffic from social media especially from Twitter. I’ve heard about triberr from this post thanks for introducing this network..
Well I didn’t used triberr yet, I have heard lot of review about it but didn’t got time to signup. Seems like I’m gonna try it ow. I am here via your post: Social Network Sites – Which One is The Best for Traffic? I will surely use this as a guide to join in. Though this is an old post i am very late here to know about this wonderful platform. hi thanks for sharing this article, i wanted to use social media for the promotion of my blog and i think i will use it. This tool looks very promising and i was not aware of this however i had heard name of it, will surely give it a chance and let you know my experience.